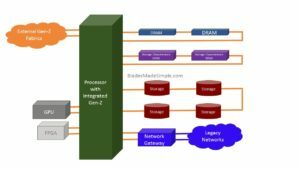 As I talk with customers, I often run into camps who either love blade servers or they absolutely hate them – and will never use them. I even hear some people think blade servers are dying off, but I think that is far from the case. 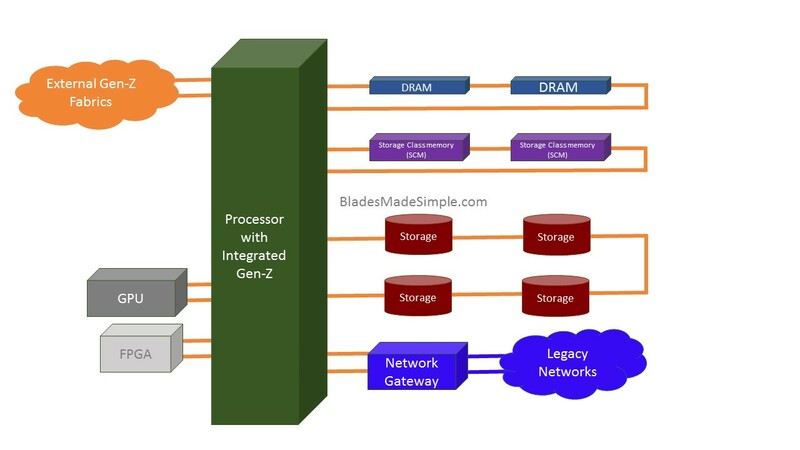 In fact, I believe that blade servers could be the future of the datacenter and here’s why. 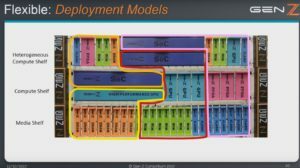 Six years ago, I wrote a blog post about the future of the datacenter being a modular design where there would be shelves of storage, compute, memory, etc. all connected via a “rack plane” (I coined that phrase if it ever takes off…) It was a vision that would allow for a dis-aggregation of compute components but at the time there was no real technology to make it happen. That vision is closer to reality with the creation of the Gen-Z Consortium. The Consortium’s initial members were AMD, ARM, Broadcom, Cray, Dell EMC, Hewlett Packard Enterprise, Huawei, IDT, Micron, Samsung, SK Hynix and Xilinx (see the full current member list at http://genzconsortium.org/membership). 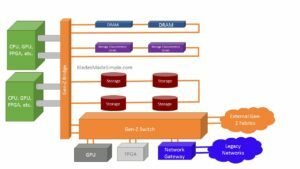 This Consortium was created with the goal of creating an open systems interconnect that can provide memory semantic access to data and devices via direct-attached, switched or fabric topologies as shown below. Aside from the concept of connecting devices together, Gen-Z is striving toward full duplex, aggregate bandwidths with 32 lanes achieving 25GT/s (200GB/s) up to 112GT/s (896GB/s). 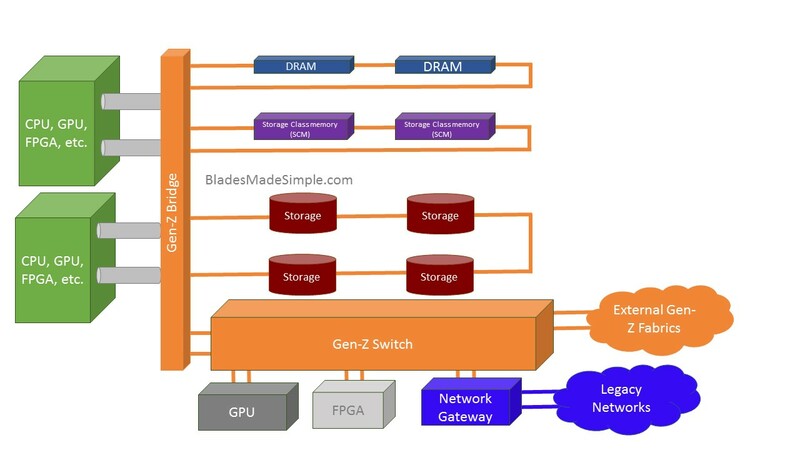 As technology advances and CPU vendors integrate Gen-Z into the processor, the Gen-Z bridge goes away and Gen-Z will support 64 lanes taking that from 400GB/s to 1792GB/s. To get back to my original point, I believe that blade, or “modular” servers will be a fundamental hardware design for Gen-Z architecture. When you review the Gen-Z Consortium’s vision of deployment models you’ll see it is a very modular design. The image below not only highlights the modularity but also the idea of carving out pools of resources based upon the application needs. This is where it gets cool because Gen-Z could let us partition off our resources into the physical pools we need. While Gen-Z looks amazing and promises to be the best thing since sliced bread, I don’t think we’ll see the technology anytime soon, however, I encourage you set up a Google alert and keep your eye on what’s happening with it. If this interests you, I encourage you to take an hour and watch the video, “The Gen Z Tenets” on YouTube at https://youtu.be/raed9Xxvj8Y. I’d love to know your thoughts on this. Leave me a comment below or hit me up on Twitter (@kevin_houston).